Look at that face!!! My Darling messaged me this photo of our gorgeous little doggie one day when I was out of town on business. Can you spot the diamond ring??!! She’s wearing it on her collar!! Very clever and hilariously funny!! It was a great way to hype up the actual proposal (which also included our girl!). Macarons aren’t quite the decadent sweet treat anymore – but this really is pretty sweet!! This secret ring box is the perfect way to propose to a macaron lover. Slip it in with a batch of normal macarons, and prepare for the best surprise! Scavenger hunts are great ways to take your partner back to places that made an impact on your relationship. The final destination could be where you first met, your first date, or your first kiss. Wherever you pick, it’ll sure be a fun adventure. 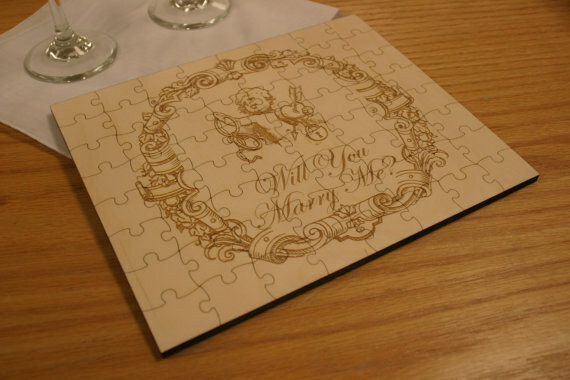 A Jigsaw Puzzle! 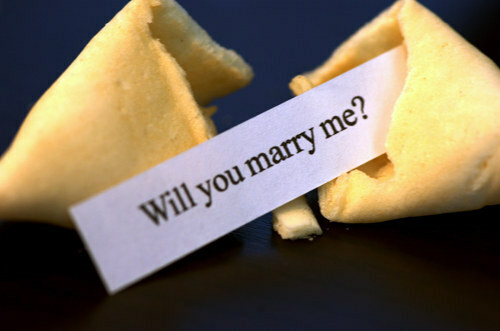 What’s a better way to say, “You complete me”? This charming puzzle is from LifeAStitch. I’ve also seen blocks of chocolate in this style too. Balloon Bouquet. 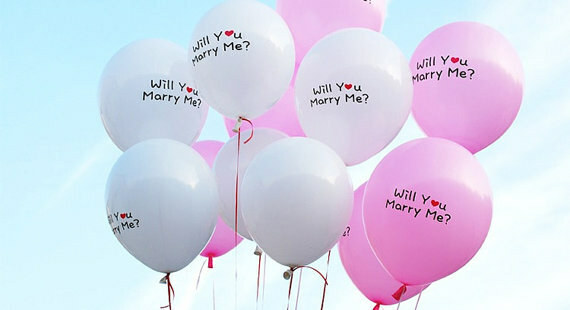 A bouquet of flowers has got NOTHING on a bouquet of balloons! Sand Castles. You’re either going to have to be a master sand castle sculptor or know somebody, but the end results are amazing! Breakfast in bed. “Marry” your significant other’s favorite things: coffee and your devoted love. Custom cups and more from GreysHollow. There are also chalkboard mugs. How cool – you could prepare breakfast in bed with this surprise addition! A Book. How cool is this? Your new life together starts at page one. 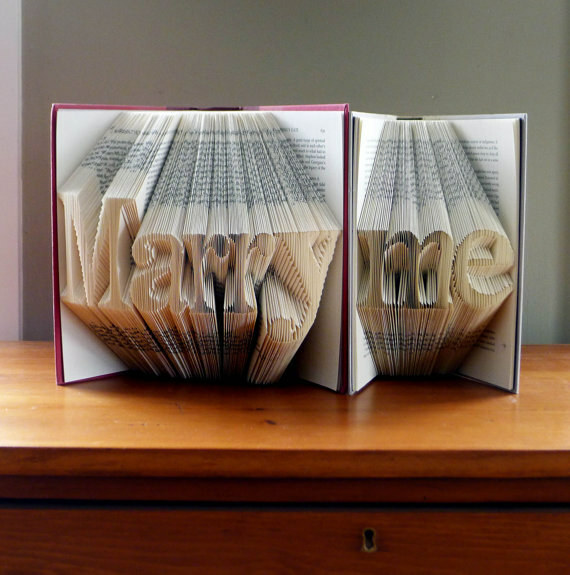 These beautiful book sculptures can be custom ordered here. With a Photo Booth proposal you’ll get to capture that Kodak moment to save and cherish!